Produced by ( Various Producers ). 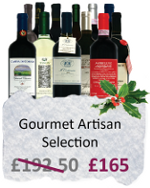 Why not organise an Italian wine tasting party for Christmas? With this selection will be a success!